Well, it’s time again for CyberCenturion. 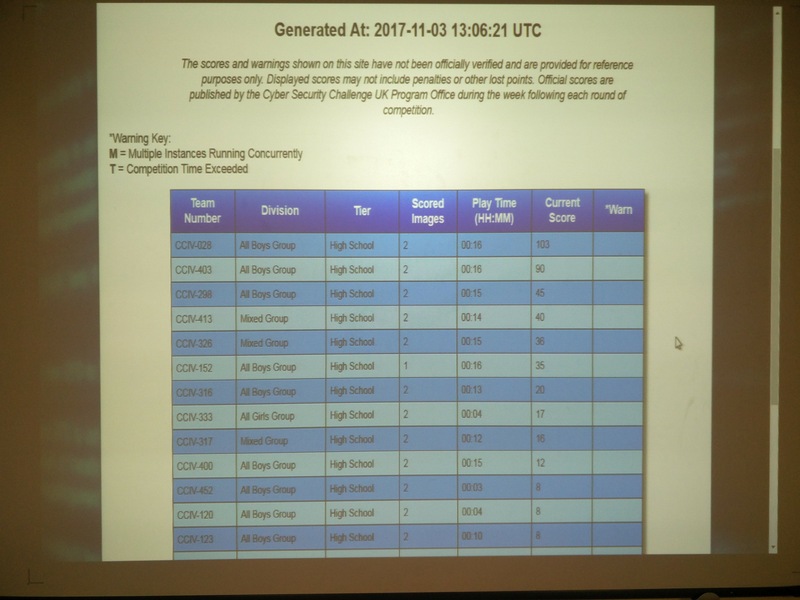 After getting two out of three teams into the CyberCenturion III final, we had high hopes of getting our teams into the 4th CyberCenturion competition, out of the 500-or-so teams taking part this year. While there had been some shuffling of the team members since the last competition, most students had taken part in the last competition so knew what they were doing (hopefully!). 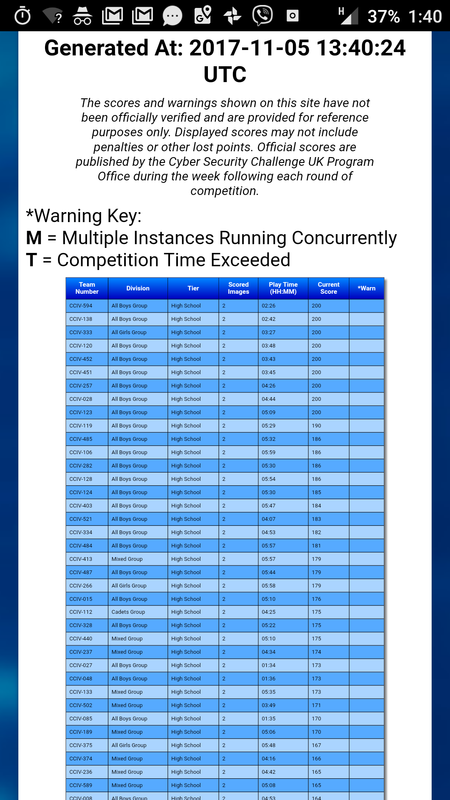 After a few practice rounds that were identical to those from the 3rd competition, it was time for the 1st competition round to take place, with Windows 7 and Ubuntu 16.04 being the images in use. There have been some changes to how the competition is run this year, the biggest one being that the competition rounds start at midday, rather than 1PM. The other big change is that the teams competiting are divided into boys, mixed and girls teams. Well, I say that this competition starts at midday, but due to a mixup with the American password being sent to extract the UK images (and it obviously not working), this time the round didn’t start till just before 1PM. Eventually, after many emails being sent back and forth, the right password was sent and it was agreed that the round would be extnded by an hour to make up for the hour lost. So, with the images suggessfully extracted, the round got underway. Quite quickly, one of our teams was at the top of the leaderboard with 103 points after 16 minutes. 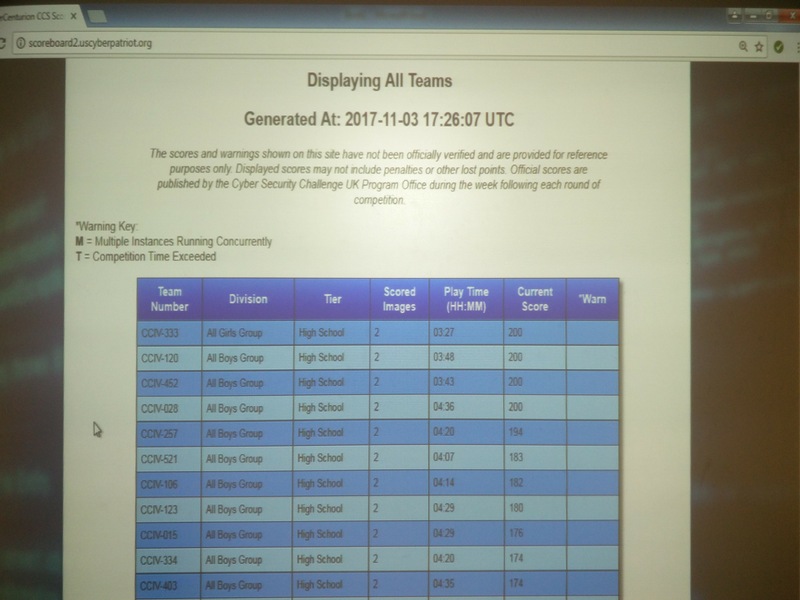 Nearly an hour into the competition, the top of the leaderboard had swapped around a few times, and a couple of our teams were in the top 10. Team 28 had completed all but one of the issues with Windows at this point, with a few remaining on Ubuntu. 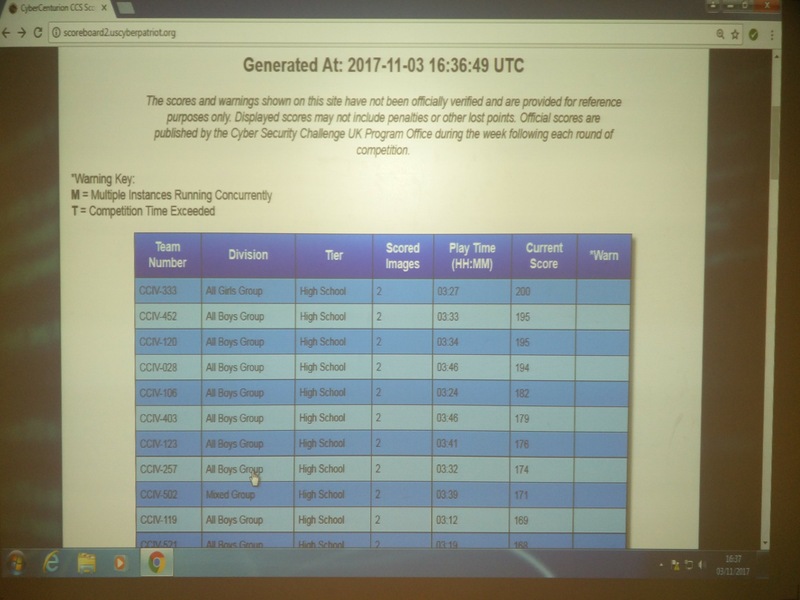 After 2 hours, most of the teams had neared the 200 points mark, but all needed two-or-three issues to complete the round. This meant that from this point forwards it was a race to see which team would get the total 200 points first. It was about another hour and a half before the first team managed to get the full 200 points. Seeing a team get to 200 points helped spur our teams on, as they’re been stuck for quite a bit. By half 5 in the evening, one of our teams managed to get to the full 200 points. They had been stuck on one issue for Ubuntu for a while, but having the prospect of pizza soon helped. Overall, our teams performed very well, considering it was the first time for one of them. At least having a high-scoring first round should help our teams (hopefully) reach the final.